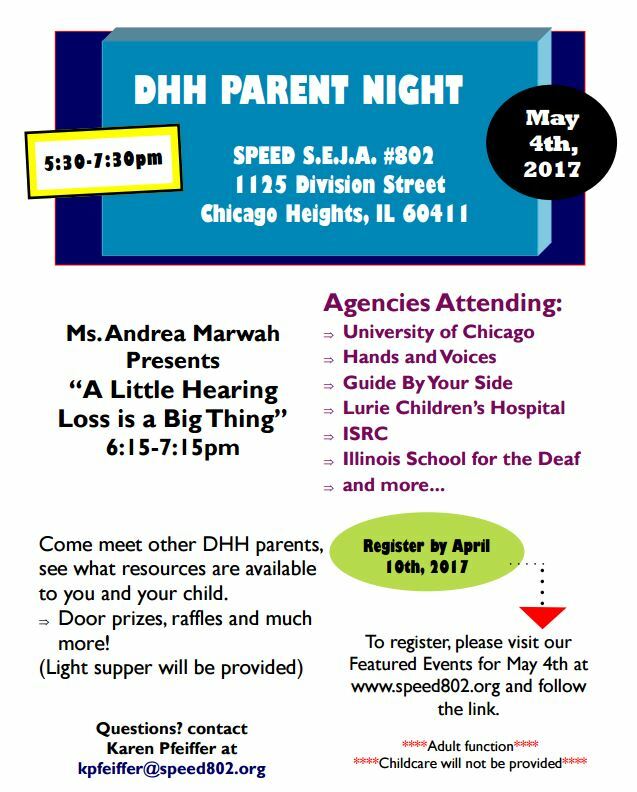 DHH Parent Night will be May 4, 2017. Click the flier for more details. 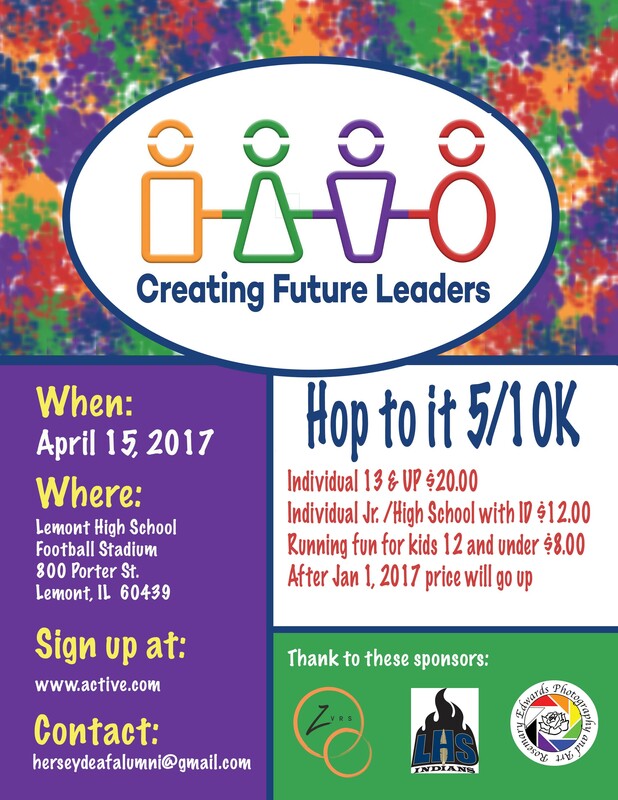 Click here to register by the April 10th deadline. 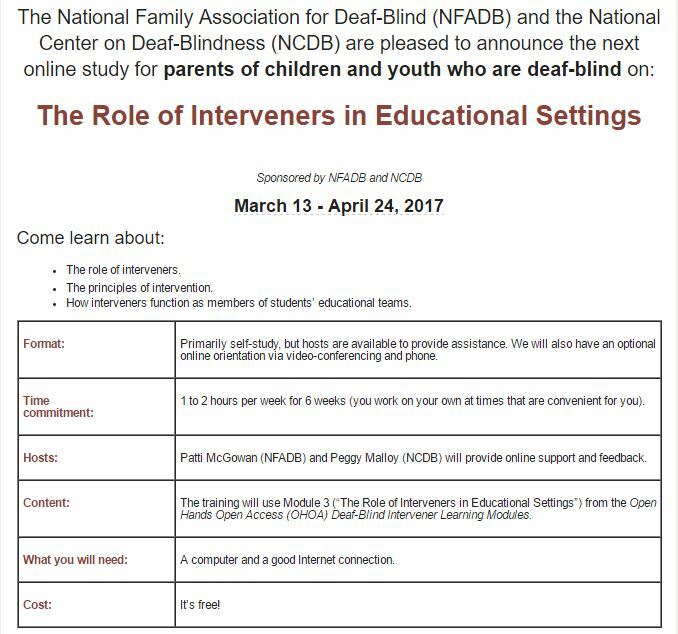 Are you an administrator in a school or program that teaches students who are deaf/hard of hearing with diagnosed or suspected autism spectrum disorder? This population of students is growing in numbers with 1 out of every 59 deaf/hard of hearing students also having ASD. While the prevalence of ASD is greater in the D/HH population, there is very little direction for teachers and administrators on what interventions to use, how to make decisions related to educational services, or deciding which disability is the most impactful for selecting a primary disability label. We are conducting a research study to look at this population in more detail, specifically their growth over time. 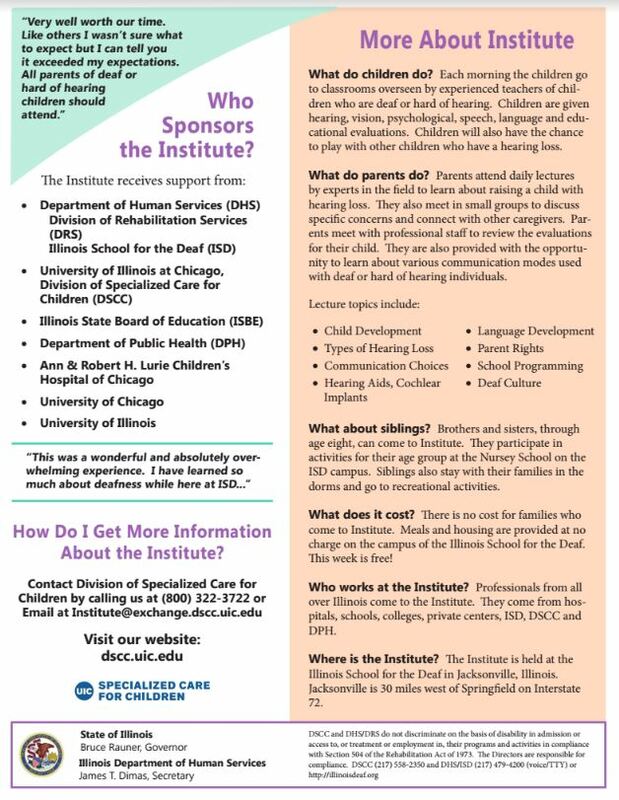 We will be looking at their educational placements, services, and outcomes over time through analyzing permanent records of their IEPs and evaluation reports. Further, we would like to survey teachers and parents to gather input on practices they find most useful and concerns they have for this population of students. If you are interested in assisting us with this important research, please forward our contact information to any teachers or parents that would be appropriate. They can contact us at [email protected] or (309) 438-5829. Feel free to contact us with any questions or concerns. 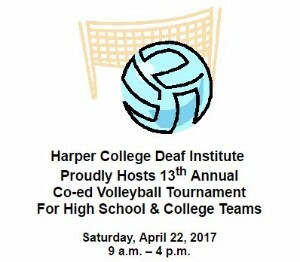 Due to major renovation at Harper College's gym, the volleyball tournament will be held at Bethel Baptist Church 200 N. Roselle Rd, Schaumburg 60194 which is 4 miles away. BBC has two gyms with five volleyball courts. Please note the new date for the Deaf/Hard of Hearing Advocate of the Year event is Tuesday, April 25, 2017. Tina Childress will be the guest speaker. 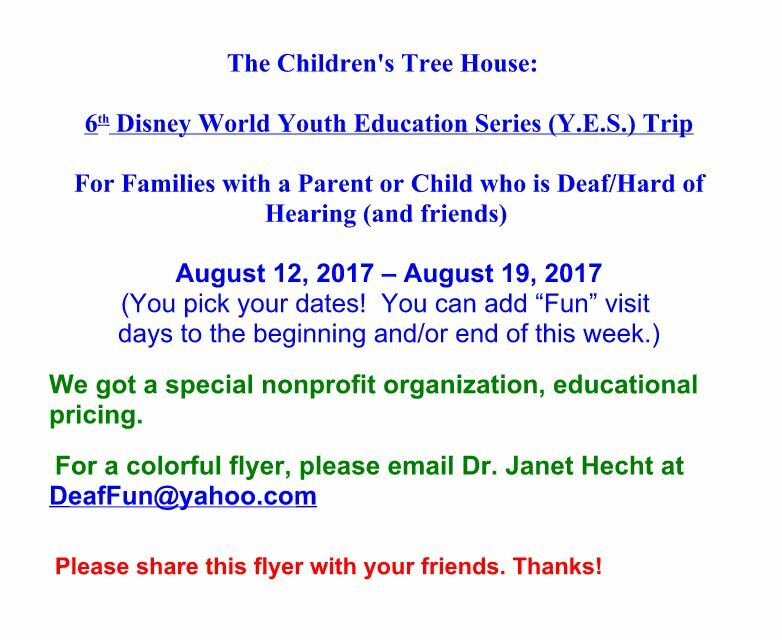 Learn more and register for the event the new-and-improved website Deaf/Hard of Hearing Advocate of the Year. 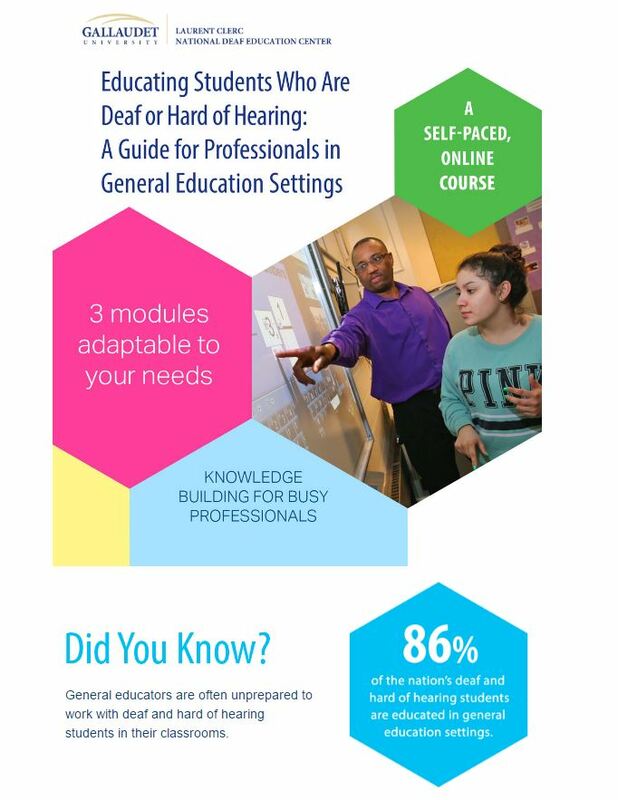 Gallaudet University's Laurent Clerc National Deaf Education Center provides an online resource to equip general education teachers to work with deaf or hard-of-hearing students. Click the image to see the flier. 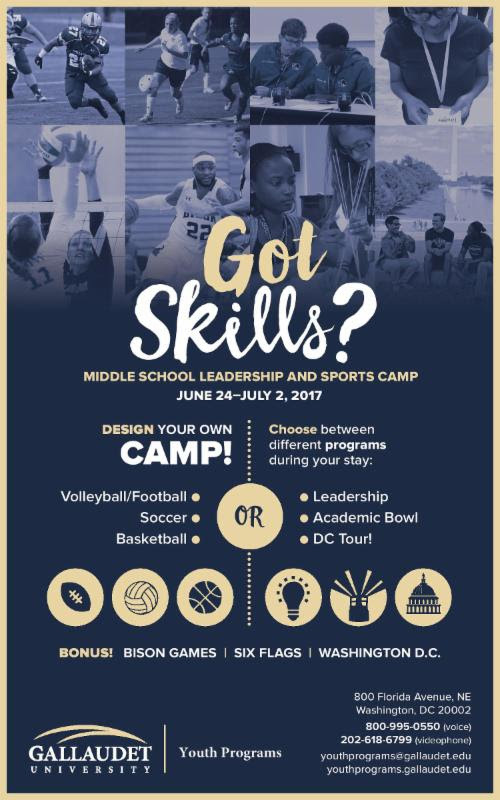 Rochester Institute of Technology will be offering a week-long summer camp for deaf and hard-of-hearing middle-school children who are interested in science, technology, engineering, and math. The deadline to register is May 15! Giphy recently created a GIF library of more than 2,000 words and phrases in American Sign Language based on the popular web series Sign with Robert. The ITDHH Fingerspelling Bee will be held at Illinois State University on Wednesday, April 26, 2017 at 11:00 AM. 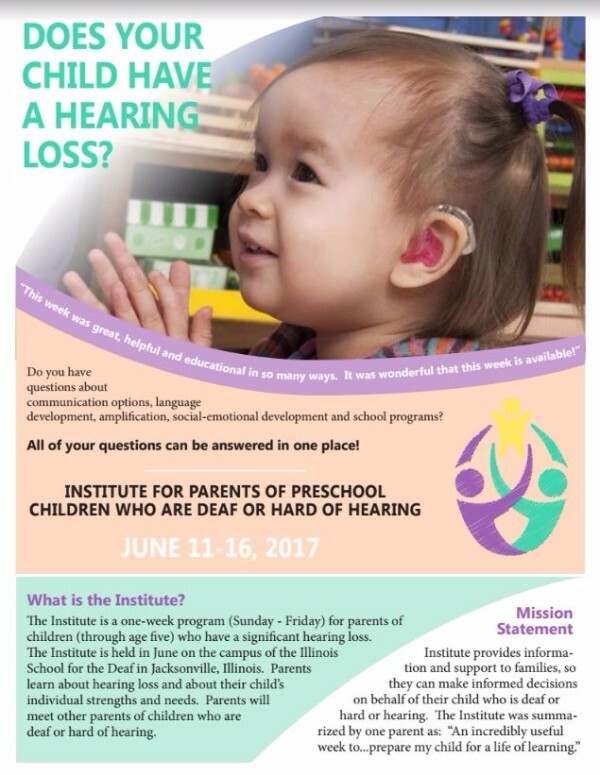 Please visit the Illinois Teachers of the Deaf and Hard of Hearing website for more information and a registration packet. We challenge you to Run/Walk with us! This race will be timed for those who are competitive. We also will have activities for kids, and a DJ for the AFTER PARTY, so be sure to stick around after you've completed your laps! Families who celebrate Easter can include their blind children in the egg decorating! 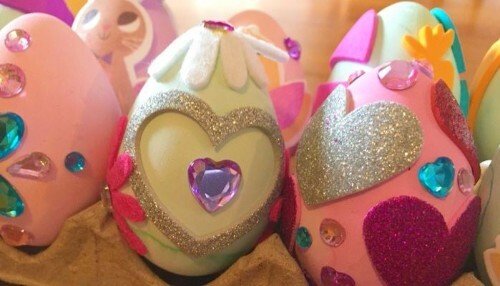 Click here to read about making tactile Easter eggs. This will be an evening of fun and networking for students aged 3-22 and their families. Look forward to games and pizza! The Indian Prairie Public Library is located at 401 Plainfield Road, Darien IL. Tag Days are coming April 21 and 22. 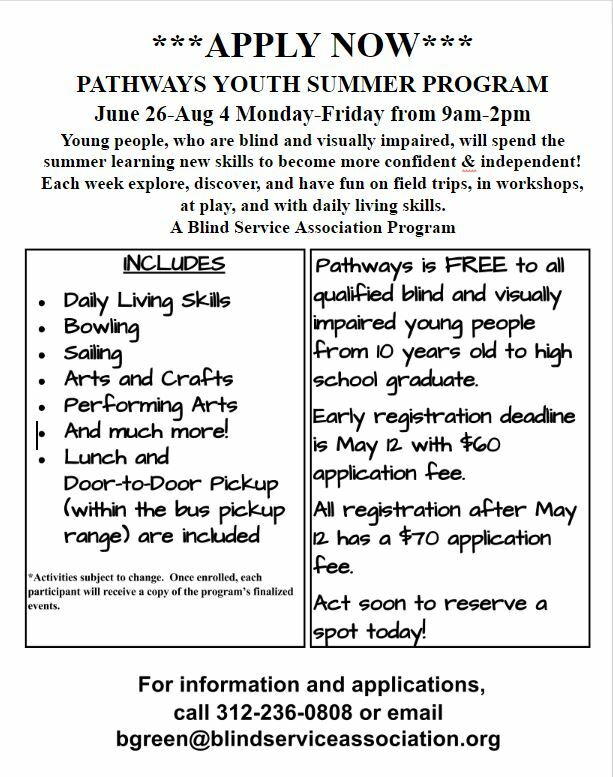 Click the flier to learn about volunteer opportunities. 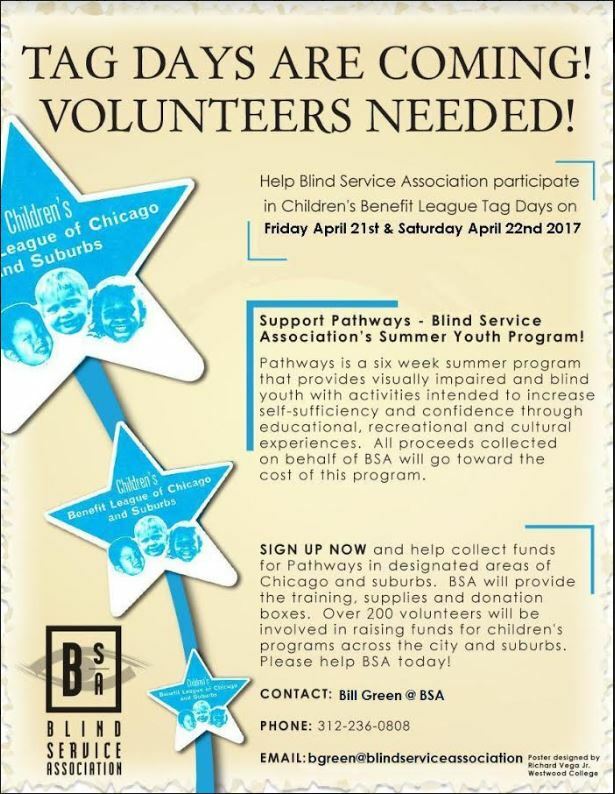 Click here to access the Blind Service Association Events page. 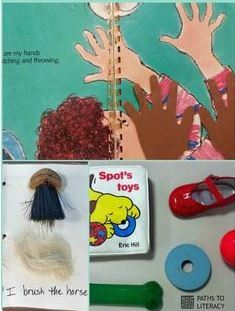 Are you reading picture books with your blind child? 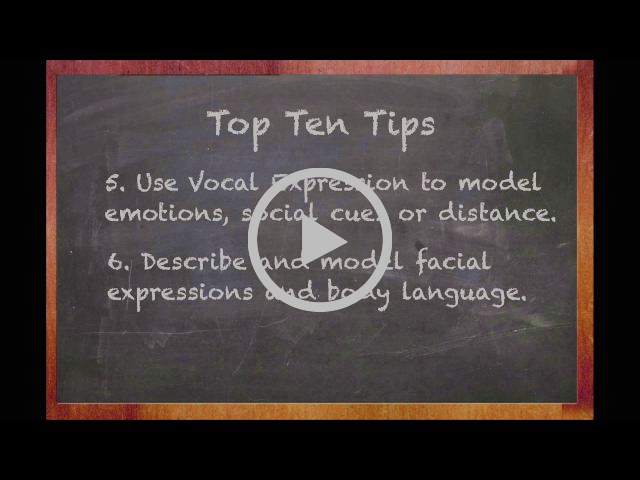 This video from National Braille Press offers some tips for making that experience even better! The ISRC library offers more than books! This set of sensory cards is new to the collection. 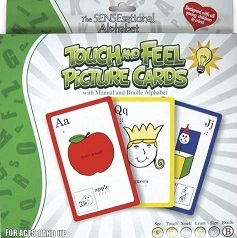 Each card features a printed letter, an image, a word in braille, and the same word in sign language. Some cards also have fragrances (the apple card smells like an apple, for example), and some have a texture that a child can feel. Contact [email protected] to request this item.